Apologies now if you clicked on this hoping for a thrilling post about breakfast cereal or an in depth discussion of astrophysics as this is not even remotely related to either. 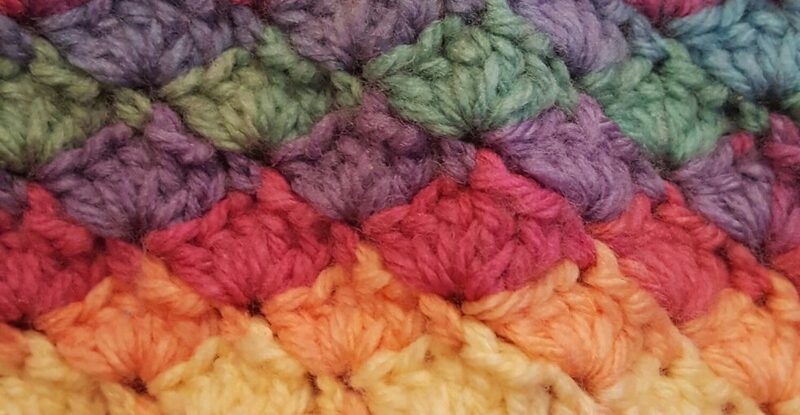 However, it is about a rather pretty little crochet stitch which can be used to great effect, and which is super simple to do. It makes up part of the Sophie’s Garden mandala, and I happen to think it makes beautiful flower petals. 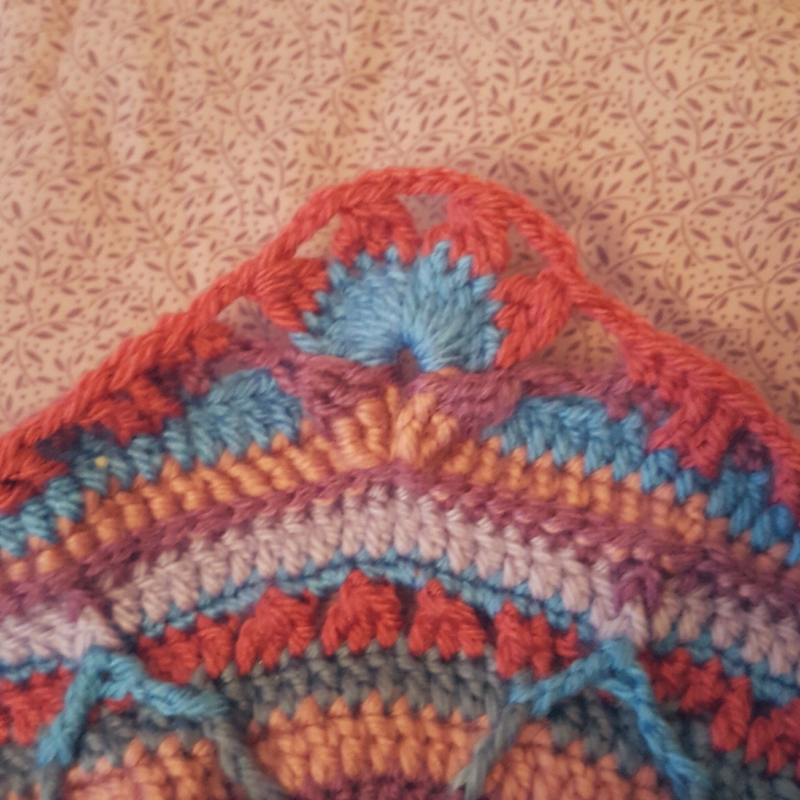 It is actually 3 stitches joined together and is formed in a fairly similar way to a bobble in that you pull the yarn through several stitches at once at the end to finish the stitch. The main difference is that you work into 3 individual stitches rather than all into the same one. It acts as a decrease as you are turning 3 stitches into one, hence why it has 2 chains between each stitch in order to maintain the same stitch count (you can see these in the photo). Yo, insert into first stitch, yarn over and pull through, yo, pull through 2 (2 left on the hook). Yo, insert into next st, yo and pull through, yo, pull through 2 loops. Yo, insert into 3rd stitch, yo and pull through, yo, pull through 2 loops. Yo and pull through all 4 remaining loops on the hook. The cluster is a really simple stitch which only requires basic crochet skills to create a stunning effect. I think it would look lovely as part of a blanket made in rows. Have you tried cluster stitch before? How did you find it? What kind of projects would you use it in? Love the end result of this stitch…would certainly look stunning on a wrap or Nanna Blankie to cover the knees. I would like to try the cluster crochet, but I’m doing a purse now using the shell stitches. pretty awesome! Thanks. I’m holding off the last few rounds a bit too as I will be a bit sad when it’s finished. It’s so lovely to make isn’t it. Hilariously I did indeed click on this post hoping for an in depth discussion of astrophysics! I enjoyed the post nonetheless and maybe one day I’ll get around to learning how to crochet.